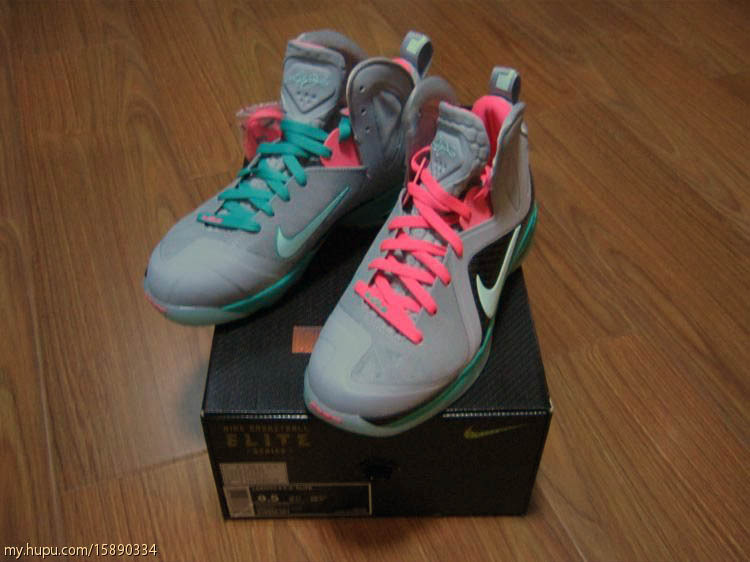 The Elite version of the Nike LeBron 9 will launch in 'Home' and 'Away' colorways at some spots this weekend, but the upcoming "South Beach" style is the pair everybody seems to have on their sneaker radar. 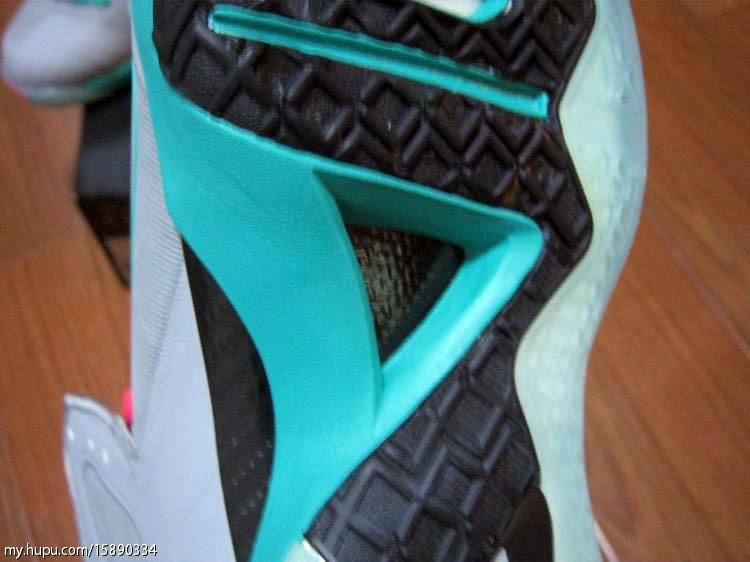 The Elite version of the Nike LeBron 9 will launch in 'Home' and 'Away' colorways at some spots this weekend, but the upcoming "South Beach" style is the pair everybody seems to have on their sneaker radar. Featuring a Wolf Grey Fuse-constructed upper, the shoe gets Miami flavor with the use of Pink Flash on the midfoot hardness and inner lining, as well New Green along the midsole and a Mint Candy Max Air unit. 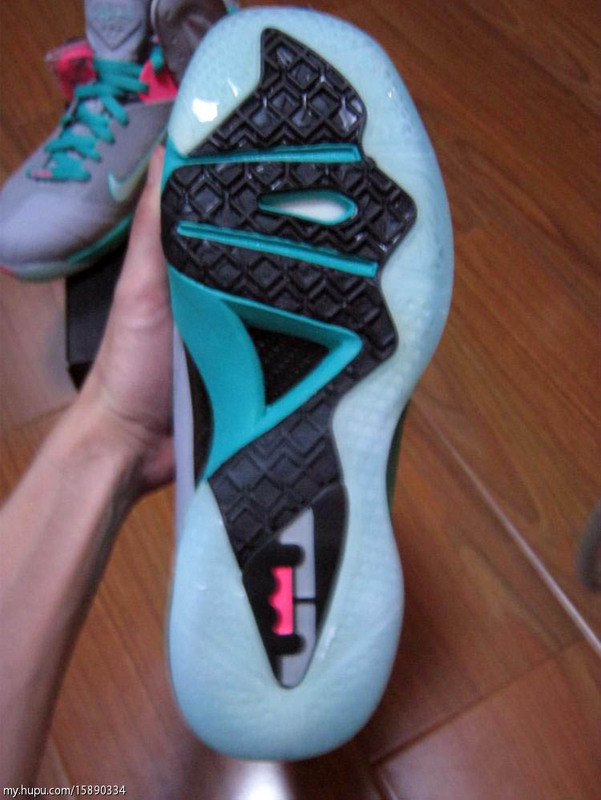 A black carbon fiber overlay offers additional support above, while a partially translucent outsole completes the look below. 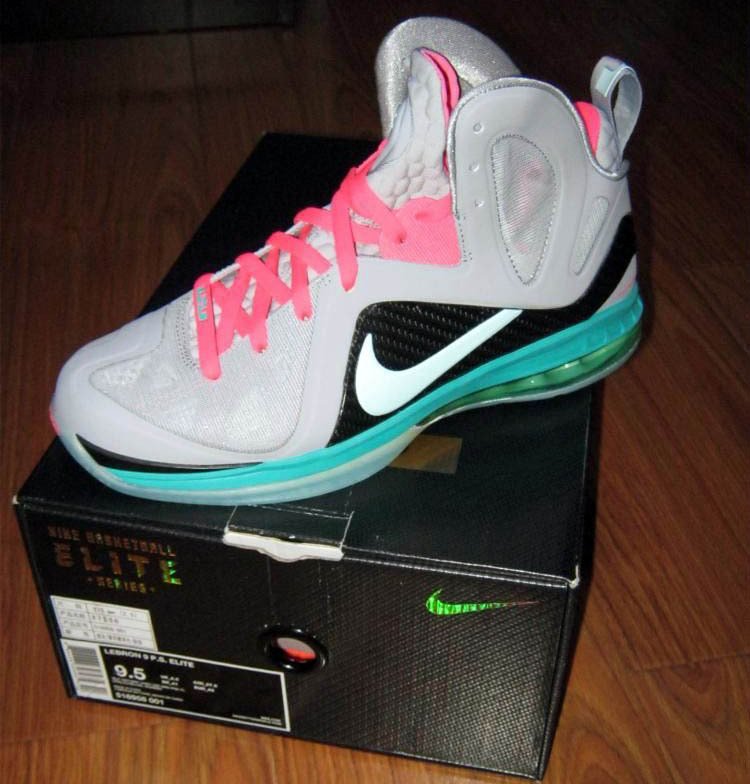 Expect the "South Beach" LeBron 9 P.S. 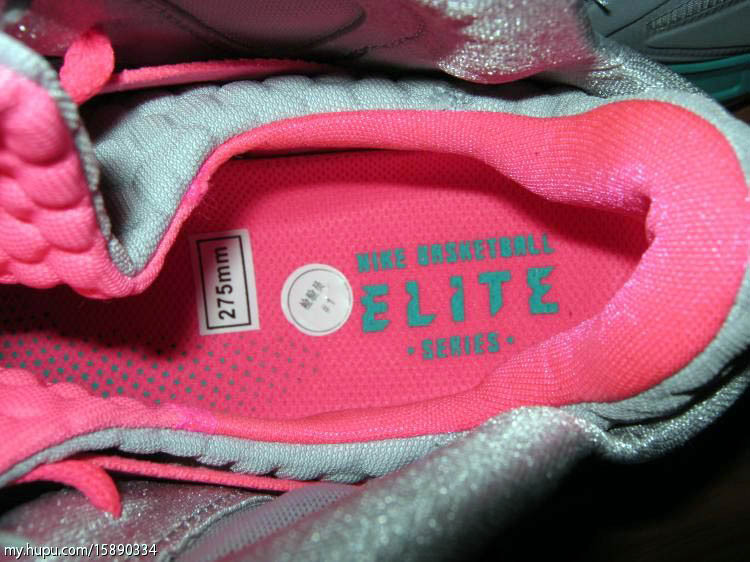 Elite to hit stores on Saturday, June 2.